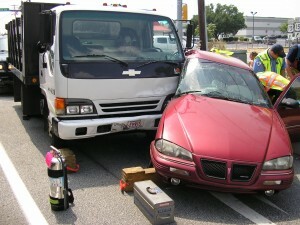 On Wednesday August 4, 2010 Upper Allen Police were dispatched to the intersection of South Market Street and Kim Acres Drive for an automobile accident. 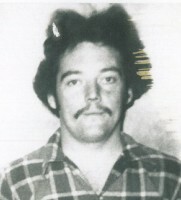 Upon arrival officers learned that Keith Bashore had failed to stop for the red light at the intersection and struck the vehicle being driven by Eva Brubaker. Brubaker was transported by EMS to Hershey Medical Center for treatment and her disabled vehicle was towed from the scene. Bashore was treated by EMS and cited for careless driving. The Upper Allen Fire Department and Fire Police assisted at the scene. National Night Out is Tuesday August 3rd from 6:00PM-10:00PM. Residents are encouraged to come out on their porches, turn their porch lights on, meet their neighbors, and interact with Police that may be traveling throughout their neighborhoods. National Night out is a time to strengthen neighborhood spirit and police-community partnerships. National Night Out is a way to let criminals know that neighborhoods are organized and fighting back. So please come out and help your community. The Upper Allen Police will have extra patrol officers driving through your neighborhoods and they look forward to interacting with our residents, so we encourage you to engage them in conversation. In addition to a compliment of patrol cars we will have all 3 of our Bike Officers riding around various neighborhoods. As always, the Upper Allen Police Department looks forward to serving its community in what ever way we can and we look forward to meeting more of our community during this positive pro-active event. On July 26, 2010 a township church reported the theft of over $10,000 in grocery store gift cards. The church was selling the cards, good at multiple grocery stores, as part of a fundraiser. These stolen cards are now in circulation within the surrounding communities and have been used to make purchases. Anyone with information is encouraged to contact the Upper Allen Township Police at (717) 238-9676 or anonymously, via our tip line, at (717) 591-3790. Readers are reminded that, while these cards may be legitimately sold as part of fundraisers, it is important to know who you are doing business with when purchasing them. During the overnight hours of July 22, 2010 thru July 23, 2010, a victim’s vehicle was entered in the 1st block of Grandview Court and a laptop computer was stolen. The computer is a Renova Think Pad serial # L3-D1450 and also contains an East Pennsboro School District asset tag #6357. Anyone with information pertaining to this incident is encouraged to call the Upper Allen Township Police Department at 717-238-9676 or the anonymous tip line at 717-591-3790. The Police Department has recently received several complaints concerning magazine sales, meat sales and home improvement solicitations in the Township. 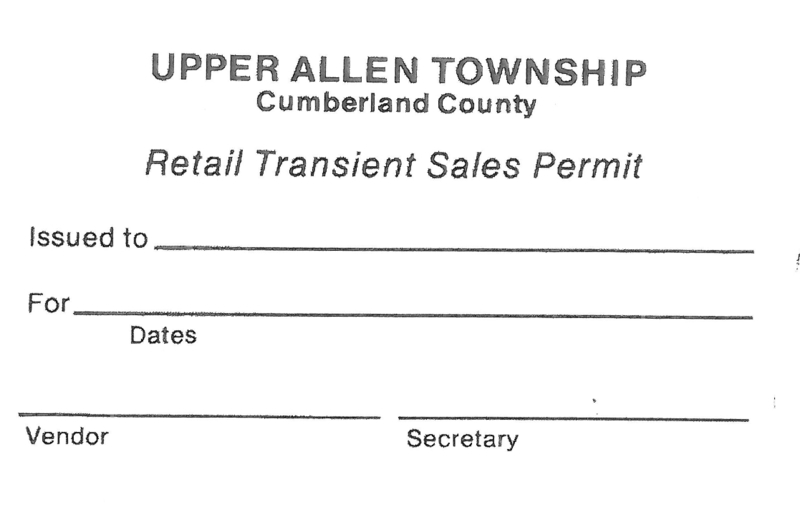 As a reminder, Upper Allen Township requires any person soliciting sales be licensed by the Township to do so. Approved Solicitors are then issued a Permit which they must carry and present when asked. 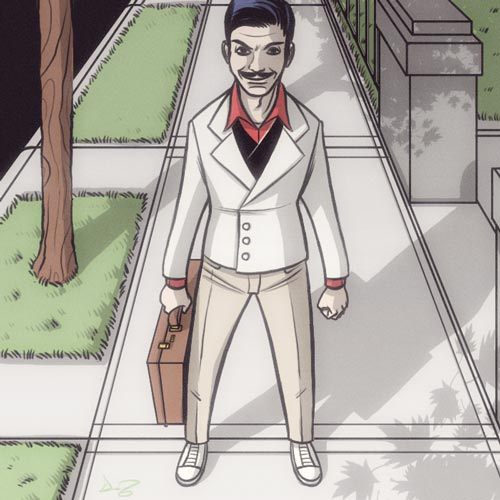 The best way residents can insure that a salesperson is legitimate is to ask to see their Township issued permit. 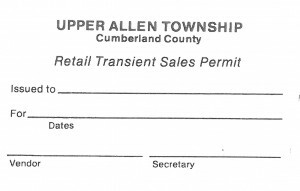 If the person cannot present a permit it is recommended that you terminate the contact and contact the Upper Allen Police at 717-795-2445 (Business Hours) or 717-238-9676 (Weekends and Non-Business Hours). A permit is not required when goods or services are not being sold.